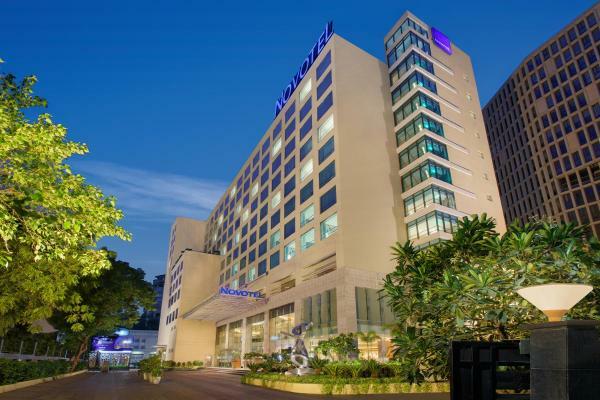 Novotel Ahmedabad – a 5 star contemporary business hotel located in the central business district of Ahmedabad on S G Highway with easy access to Gandhinagar, Sanand, Changodar industrial area and 15 minute drive to the city centre. 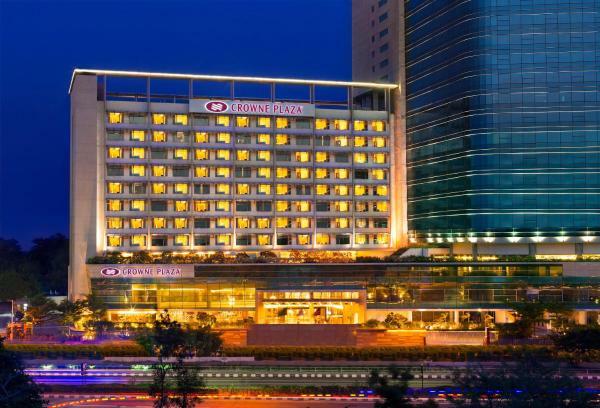 Situated in central business district of Ahmedabad, Crowne Plaza Ahmedabad is set on S.G. Road offering an outdoor swimming pool, fitness centre and spa treatment facilities. 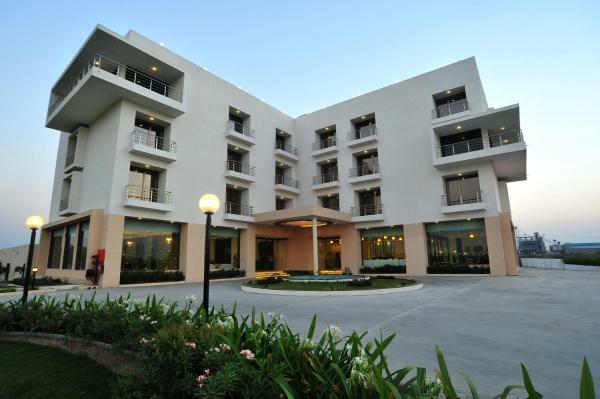 Centrally located in Ahmedabad, the 4-star Holiday Inn Express Ahmedabad Ashram Road offers a fitness centre, a 24-hour business centre and free Wi-Fi access. 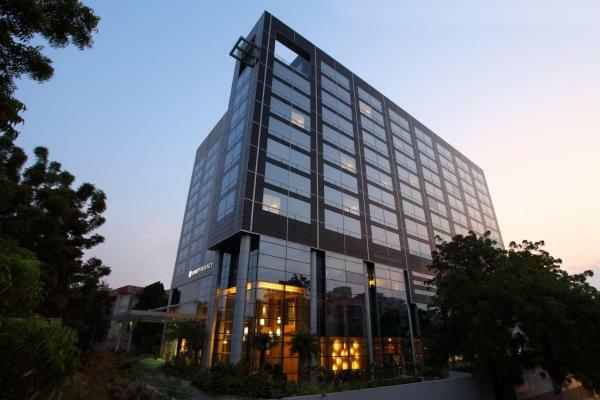 Situated on central business district of Ahmedabad, Hyatt Regency Ahmedabad is set on Ashram road offering an outdoor swimming pool, 24-hour fitness centre and spa treatment facilities. The property offers free parking and luggage storage. 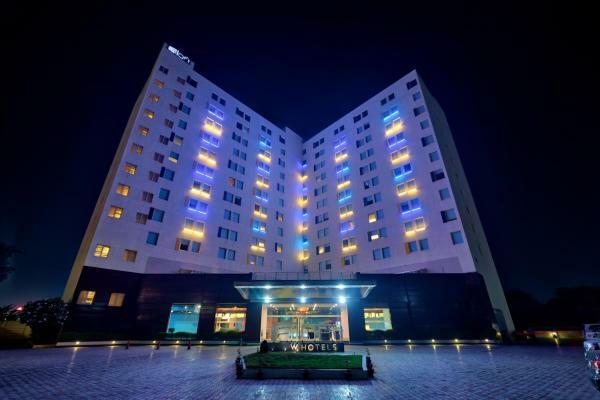 Located in Ahmedabad, Hotel Blue Moon by Sky Stays offers a shared lounge and free Wi-Fi. 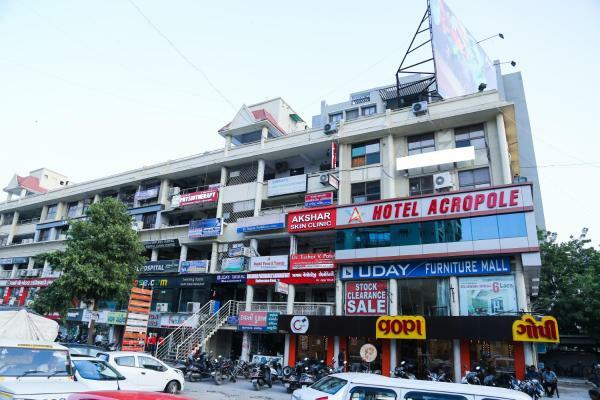 Well set in the Saraspur district, this hotel is set 4.4 km from Gandhi Ashram. Guests can sample Asian and Indian dishes at the in-house restaurant. 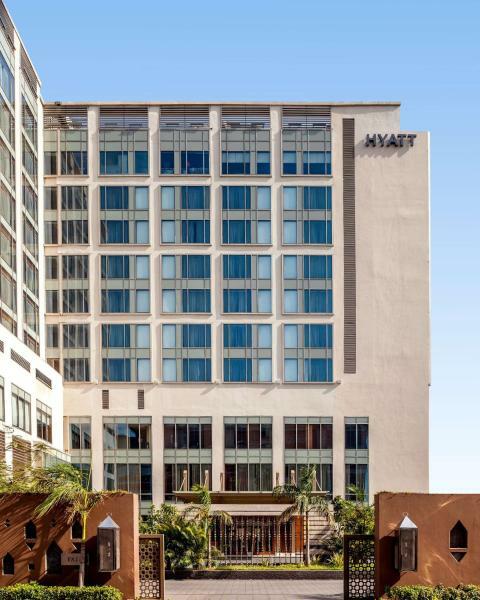 Abundant natural light and greenery are featured at the luxurious Hyatt Ahmedabad, a trendy 5-star hotel overlooking the scenic Vastrapur Lake. 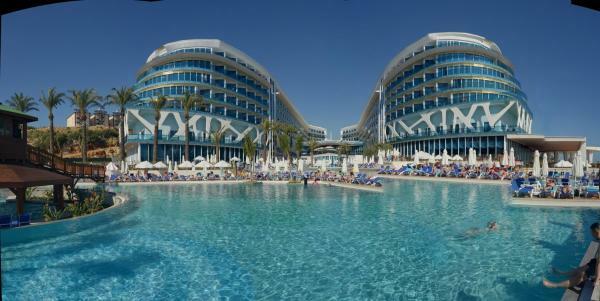 An outdoor pool, fitness centre, salon and pampering spa treatments are available. Boasting a terrace, The Westend is set in Ahmedabad, 3.8 km from IIM. The 3-star hotel has air-conditioned rooms with a private bathroom and free Wi-Fi. The property offers a 24-hour front desk. 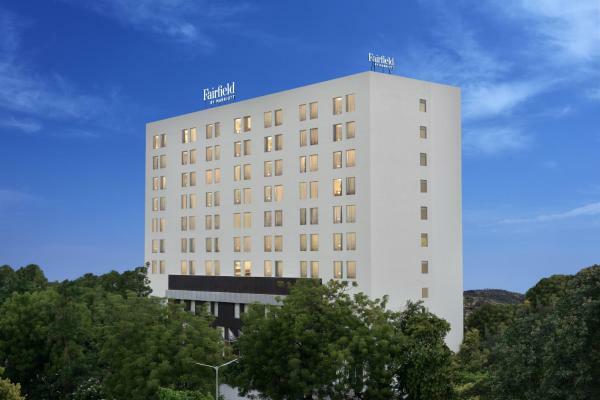 Situated just 8 km from the Sabarmati Ashram, Aloft Ahmedabad SG Road offers a 24-hour front desk, free Wi-Fi throughout the property and a swimming pool. 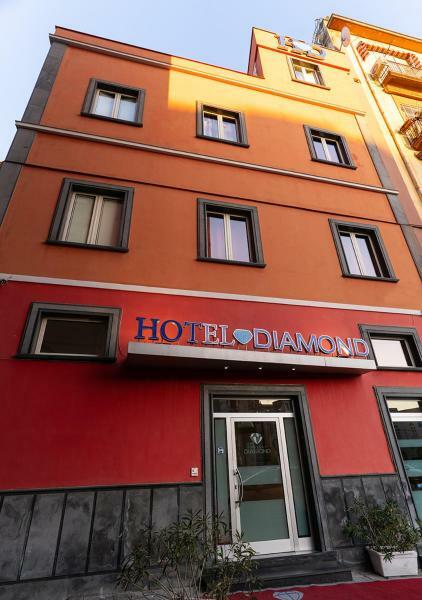 The hotel offers luggage storage, currency exchange and laundry/dry-cleaning facilities. Featuring a garden, Hotel Skyland is set in Ahmedabad, 7 km from IIM. This 3-star hotel offers a 24-hour front desk, valet parking and free Wi-Fi. Guests can enjoy city views. All rooms in the hotel are equipped with a flat-screen TV. 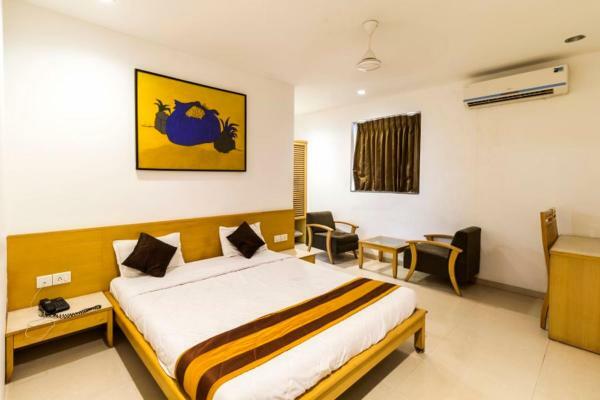 Set 2.8 km from Gandhi Ashram, Hotel Alien Habitat offers rooms with air conditioning in Ahmedabad. Among the facilities of this property are a restaurant, a 24-hour front desk and an ATM, along with free Wi-Fi. The property is situated 3. Providing free Wi-Fi, Hotel Prime offers rooms in Ahmedabad, 3.6 km from Gandhi Ashram and 6 km from IIM. The property is located 7 km from Sardar Patel Stadium, 2.3 km from NBSO Ahmedabad and 2.4 km from Adani Group. Situated in Ahmedabad, within 2.8 km of IIM and 8 km of Gandhi Ashram, Hotel Acropole offers accommodation with free Wi-Fi. The property is around 12 km from Sardar Patel Stadium, 4.1 km from L.M.College of Pharmacy and 4.3 km from CEPT University. Situated in Ahmedabad, 24 km from IIM, Le Tokyo Hotel has a fitness centre. Located around 29 km from Gandhi Ashram, the hotel is also 31 km away from Sardar Patel Stadium. Both free Wi-Fi and private parking are accessible at the hotel. 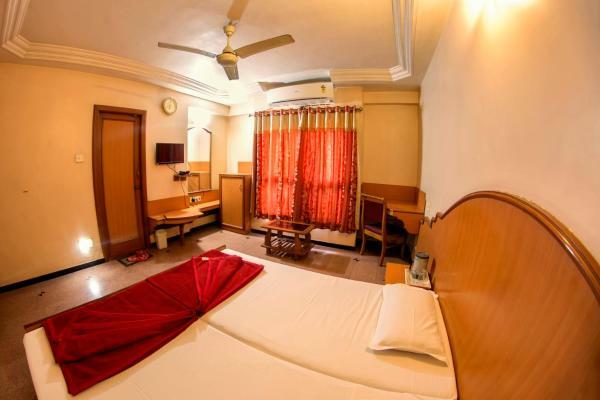 4.2 km from Gandhi Ashram, Hotel Shertown is located in Ahmedabad and offers rooms with free Wi-Fi. The property is around 7 km from IIM and 7 km from Sardar Patel Stadium. The property is 2.1 km from Kankaria Lake and 3. D Veeray by Sky Stays is situated in Ahmedabad, 2.7 km from IIM. The property is close to several noted attractions, around 700 metres from Adani Group and around 800 metres from NBSO Ahmedabad. The accommodation provides free Wi-Fi.